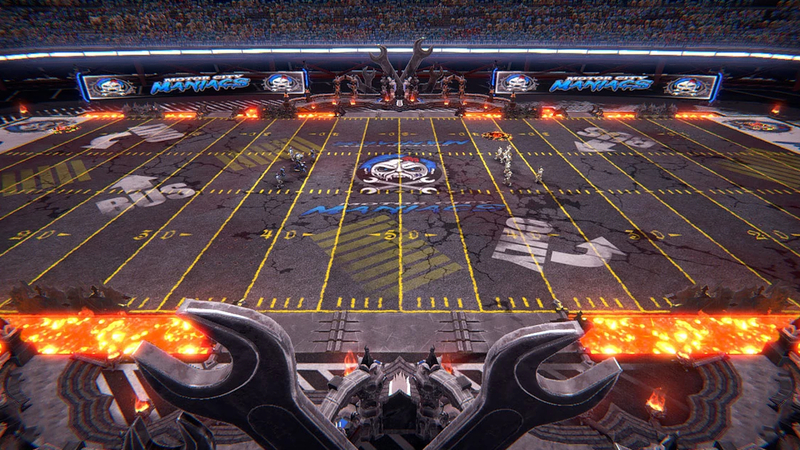 Mutant Football League has reached its full official release following a month under Early Access through Steam. That period of time was used to make a number of improvements based on feedback and included the addition of an option for game speed. MFL is currently available for PC for $25 with planned releases on Xbox One and PlayStation 4 early next year. Interestingly however a note posted by creator Michael Mendheim today hints at some news later in the week for those waiting for the console versions by stating “your time is coming… for some of you, sooner than you think.” That now looks to be a release on Xbox One through the Xbox Game Preview Program. ♦Two player online or four player local MULTIPLAYER gives you the choice to clobber one another or team up and crush opposing miscreants. ♦Choose from 18 TEAMS made up of blood thirsty, wisecracking Skeletal Deadheads, Armored Bruiserbots, Criminal Aliens, Mutated Humans and Monstrous Orcs. ♦NBA Jam and NFL Blitz hall of fame commentator, Tim Kitzrow gives unforgettable, adult-oriented play-by play commentary for every game. ♦Use Dirty Tricks during game play to Bribe the Ref, throw Bombs, or equip Shotguns and Chainsaws to your players to inflict maximum carnage against the unsuspecting competition for real difference-making moments! ♦18 unique fields across the league offer landmines, booby traps, fire pits, toxic moats and buzz saws as fun but deadly obstacles. ♦Play as MFL All-Stars Wham Neutron, Bomb Shady, Ghoulio Bones, and more who dominate the league with their rising kill counts and ferocious abilities. ♦Multiple punishing play modes like EXHIBITION, PRACTICE, PLAYOFFS, or try to survive a FULL SEASON and reach the ultimate glory: THE MAYHEM BOWL! ♦Exploding body parts, comically horrific deaths, and blood splatters fuel the MFL GORE FX visual experience. The spiritual successor to the 1993 game Mutant League Football has been developed by its original creator and lead designer. After failing at a first crowdfunding attempt, Mendheim went back to the drawing board and made some major adjustments that helped it soar past its initial goal in a second go-round and hit a number of its stretch goals in the process. Look for a full review of the game to go up later this week!